God of War New Game+ will be available as a free patch update on August 20 (that’s our four-month anniversary already). Remember, to access all the greatness of New Game+, you’ll need to complete the story campaign of God of War on any difficulty. If you already did, New Game+ will be ready and waiting for you on August 20 once you’ve patched. If you haven’t beaten the game yet, you’ve got two weeks, friend. Your boat and Axe and BOI are waiting. 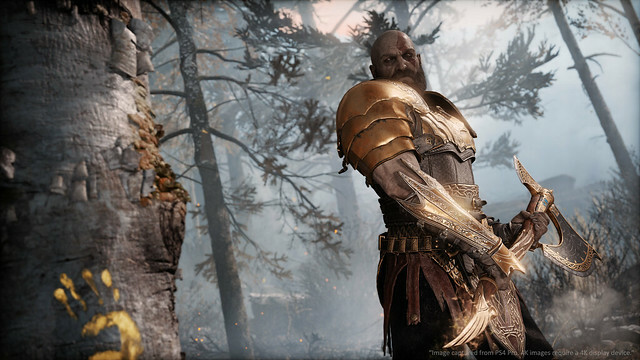 • Relive the journey of Kratos and Atreus with all of your previous armors, enchantments, talismans, resources and abilities on the difficulty of your choosing. • Test your skills against higher level enemies; some of which might even have a few new tricks up their sleeves! • Unique to New Game+ is a brand new rarity level of equipment to craft and upgrade! Collect ‘Skap Slag’, a new resource to upgrade your gear to the best of the best from our finest blacksmiths. • Play the game in a whole new way by exploring new customization options with extremely powerful new armor sets and enchantments. • Finally, get right back into the action with the newly added ability to skip through cinematics in both normal and New Game+ modes once a full play through has been completed. This is easily our biggest update to God of War. We’re certainly looking forward to seeing who completes Give Me God of War New Game+ mode first. That’s a feat! Thank you, thank you, thank you for your patience and allowing us the development time necessary to create New Game+. It arrives August 20.